RESEARCHING more than 100 years of history can take a while – just ask the people at Beaconsfield Primary School. For the past two years the school has been working with former staff, students and the wider community to collect information and photos of its long history, from the opening in 1890 right through to the current day. 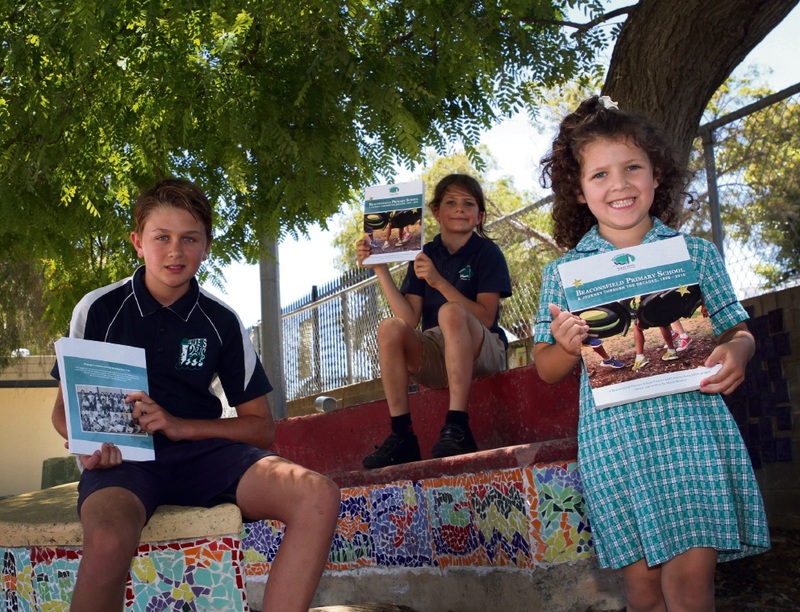 The hard work has finally paid off, with hundreds of photos and stories collated in a new book Beaconsfield Primary School – A journey through the decades, 1890-2016. Project leader and author Nicola Bowyer said the book was split into decades, with each section including local history, photos and student memories about both the school and the local area. “It contains stories of children digging trenches on the bottom oval for the war effort, kids playing cricket on Hampton Road and having a ‘spotter’ for cars, fallen war heroes who attended Beaconsfield school and so many more stories,” she said. “A lot of the teachers helped to organise events and we invited former students into the classrooms to talk about their life at the school and bring in sewing items, drawings and schoolbooks from the 1930s and later. She said she loved the finished product and only regretted not being able to make it bigger. “The graphic design team did a great job of making it appealing to children as well as adults. I wanted children to have something catch their eye and then hopefully be intrigued to read further,” she said. All funds raised from sale of the book will go to the Beaconsfield Primary School P&C Association. Beaconsfield Primary School – A journey through the decades, 1890-2016 is available from the school or from the Source store at 262 South Terrace.